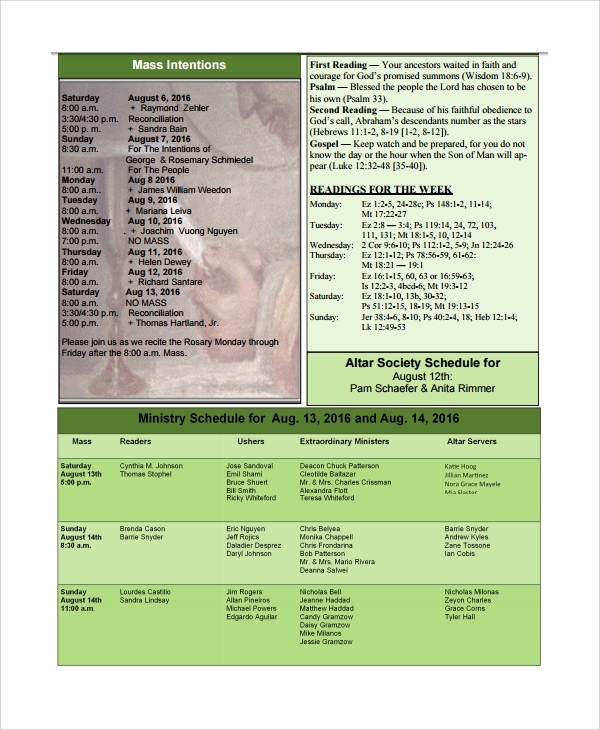 This is fundamentally important for the Roman Catholics. 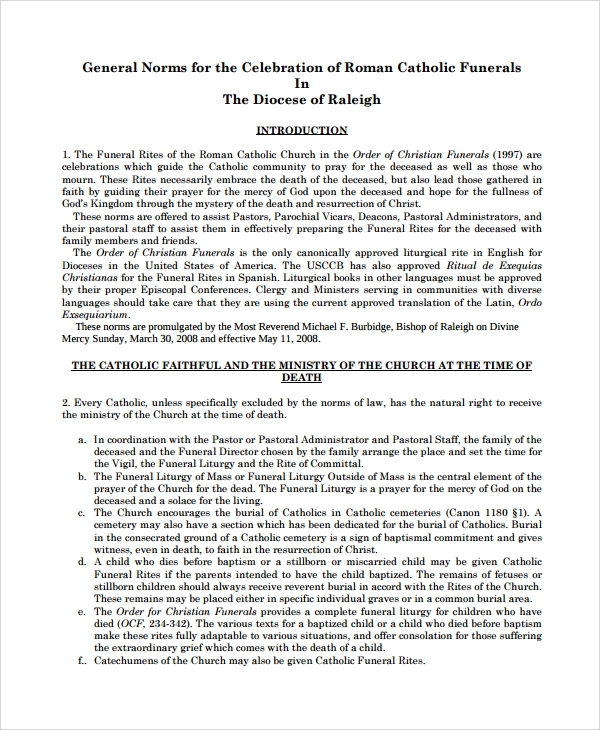 They would not abide by other laws or styles in their funerals other than the conventional Roman Catholic style. 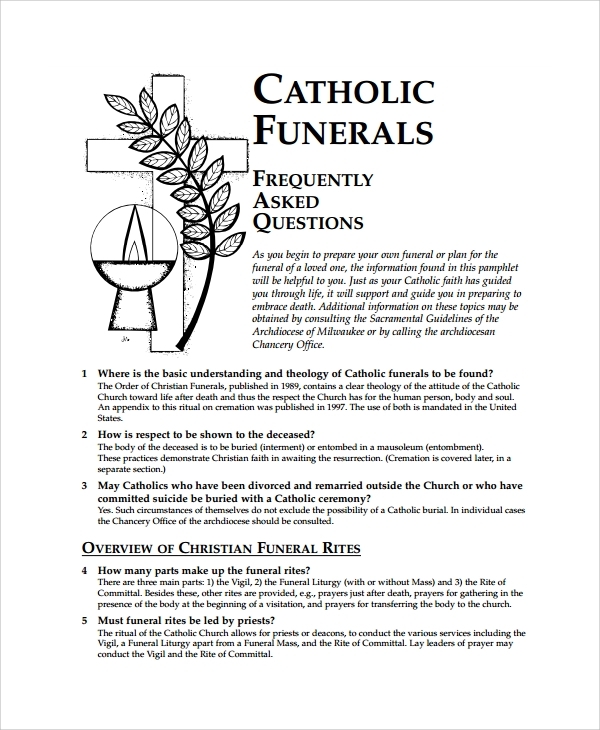 If you are not a Roman catholic, and are yet in the responsibility to make a proper funeral program, you can always seek help of this template to do it. 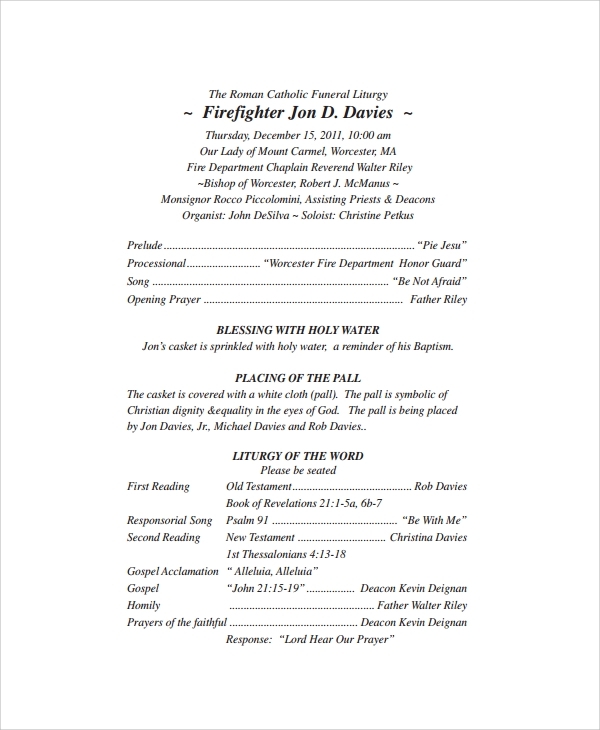 If you are sure that you can make a format for the funeral program by just studying and reading a nice sample, then here are perfect samples for you. 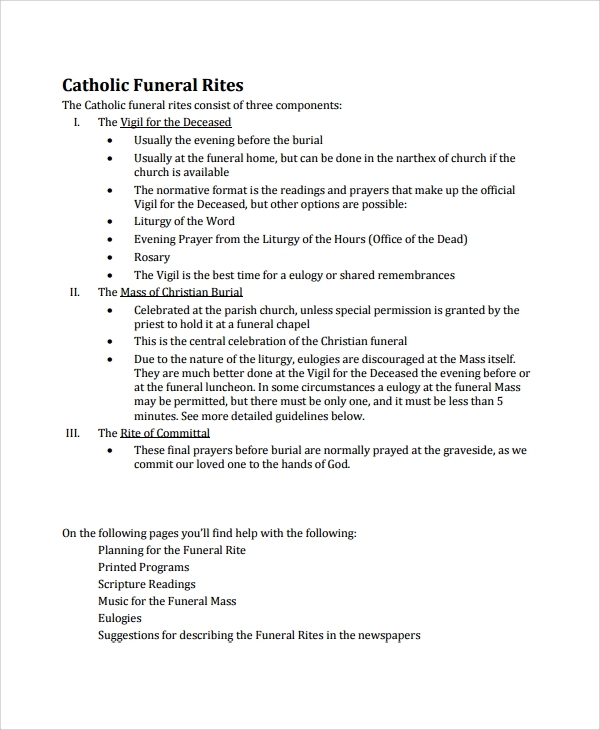 Download and study them to make a perfect catholic program schedule and planning. 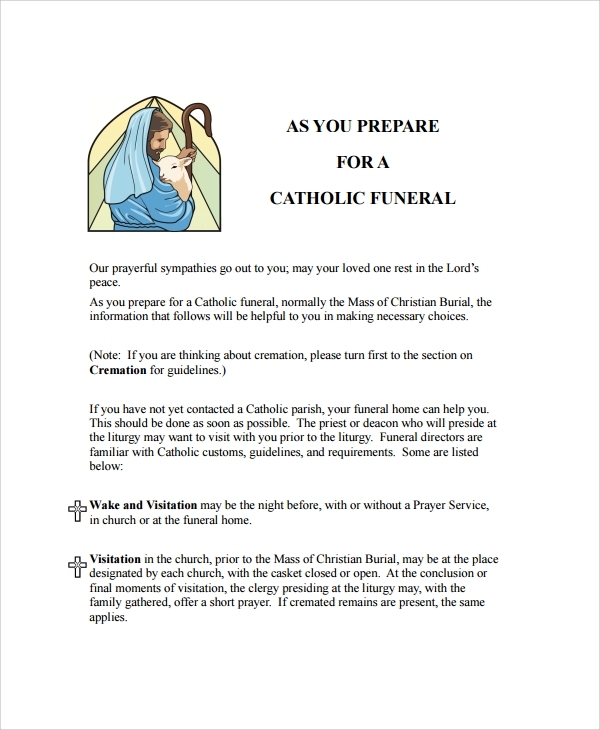 The catholic funeral service program is a planned program for the service during and after the funeral, and you must abide by the program style to make a proper format. That is why, to know the conventional ways, follow the error free methods, samples and guides that made available in the form of the templates here. 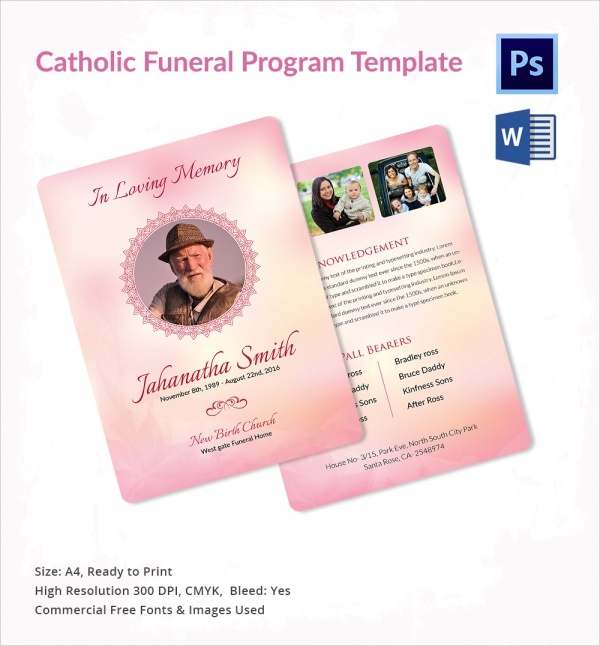 Why do You Need the Catholic Funeral Program Templates? 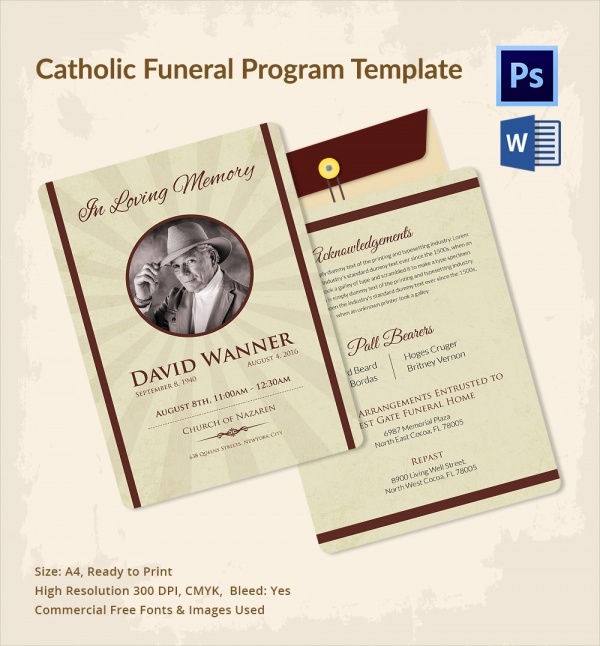 What is the Importance of the Catholic Funeral Program Templates? 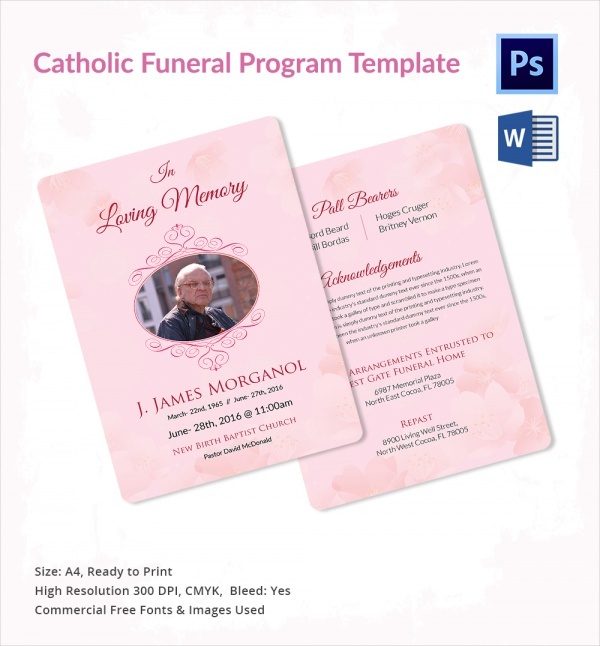 The importance of templates is actually quite high in making a funeral plan, and that too a specifically roman catholic style one. That is because when you have a dear one’s demise in mind, the shock and grief will not let you plan things the best way possible. You will make mistakes, will lose concentration, and will thus falter at places. 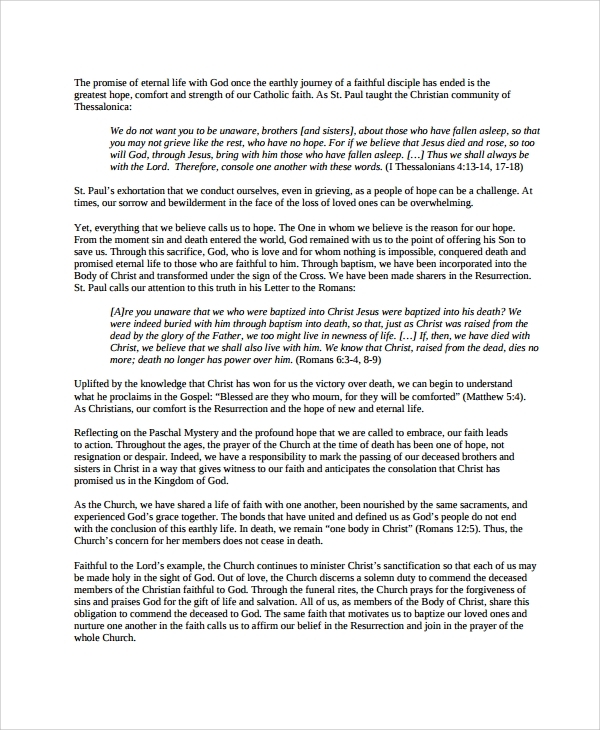 To help you, templates can be a ready guide. A sample or format will make it much easy for you, and won’t pressurize you to think much. 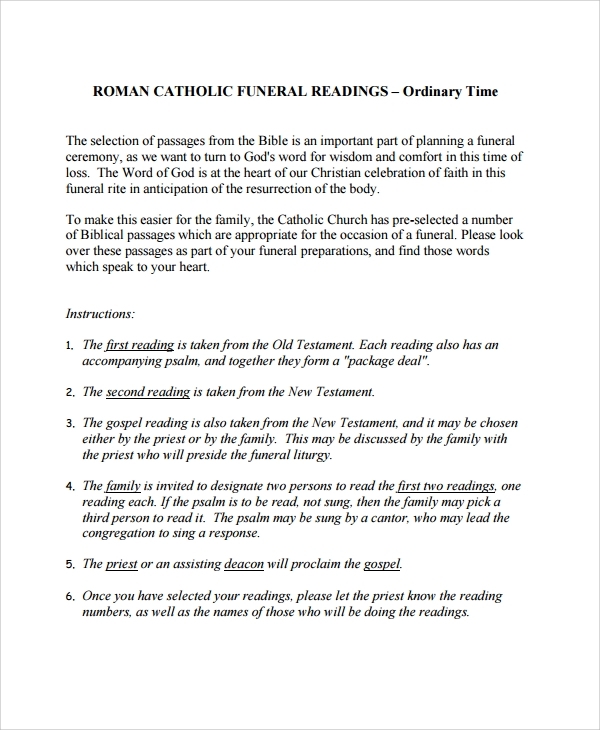 That is why when you have the guide of templates, you may plan a Roman Catholic funeral program even in the deepest grief stricken situation. 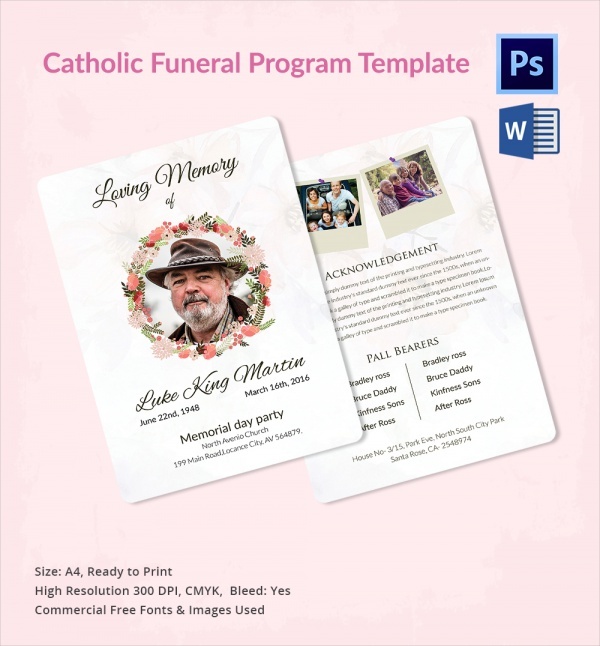 Making a Roman Catholic style funeral program is just a few steps away when you are aided with the best template to carry on. This will not let mistakes creep into the conventional program schedule making, and will let you make a plan which all the participants would like and respect.